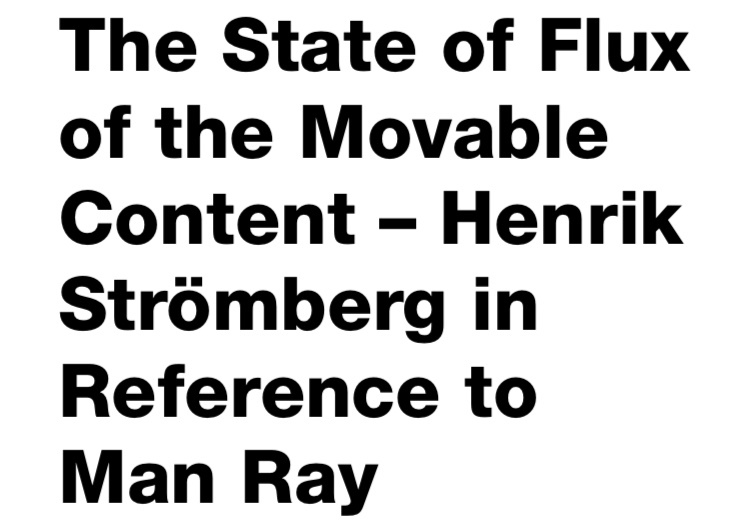 → fontaine b. presents Man Ray and Henrik Strömberg in doc! photo magazine — fontaine b. We are happy to announce that the first publication of fontaine b. in doc! photo magazine's section contra doc! is out this March. The story is covering Henrik Strömberg's photographic works in reference to Man Ray. Texts "The State of Flux of the Movable Content" by Chiara Valci Mazzara, editing Gabriela Covblic. Further texts "Vanishing" by Daragh Reeves and "The Compost" by Jens Soneryd.